Following their victories in Eliminator 1 and 2, respectively, U.P. Yoddha and Dabang Delhi K.C. will battle in Eliminator 3 with a place in Qualifier 2 at stake at the Rajiv Gandhi Indoor Stadium in Kochi on Monday. U.P. 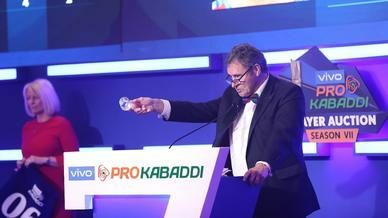 Yoddha’s defence was outstanding in their team’s triumph over U Mumba whereas Dabang Delhi K.C. raiders Naveen Kumar and Chandran Ranjit combined to score 19 raid points in their team’s win over Bengal Warriors. While both teams have brilliant rosters at their disposal, the duel between U.P. 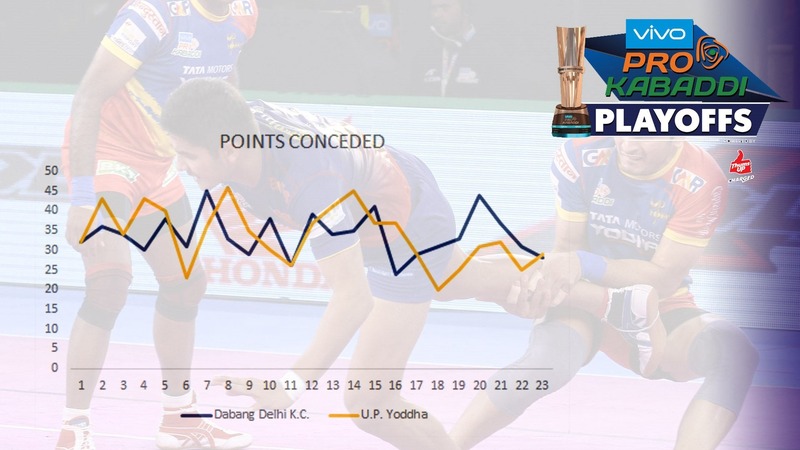 Yoddha’s defence and Dabang Delhi K.C.’s offence will likely be the key battle in this contest. Eliminator 3: U.P. 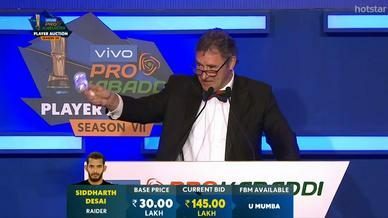 Yoddha vs. Dabang Delhi K.C. Head-to-head: U.P. Yoddha 2-0 Dabang Delhi K.C. U.P. 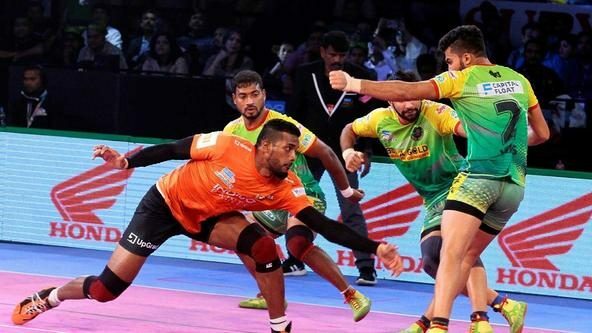 Yoddha continued their stellar form that saw them win five and tie one of their last six fixtures and beat U Mumba 34-29 in Eliminator 1 to book their berth in Eliminator 3. 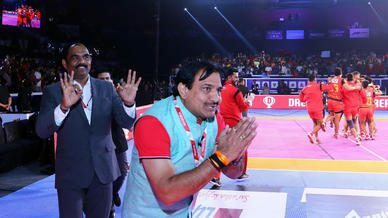 The star of the show was Right Corner Nitesh Kumar who scored eight tackle points and was ably supported by veteran Cover Jeeva Kumar who returned a High 5. The defence had an outstanding night against U Mumba, scoring a franchise record 18 tackle points on the night, and limited outstanding rookie Siddharth Desai to just seven raid points while also tackling him seven times. U.P. 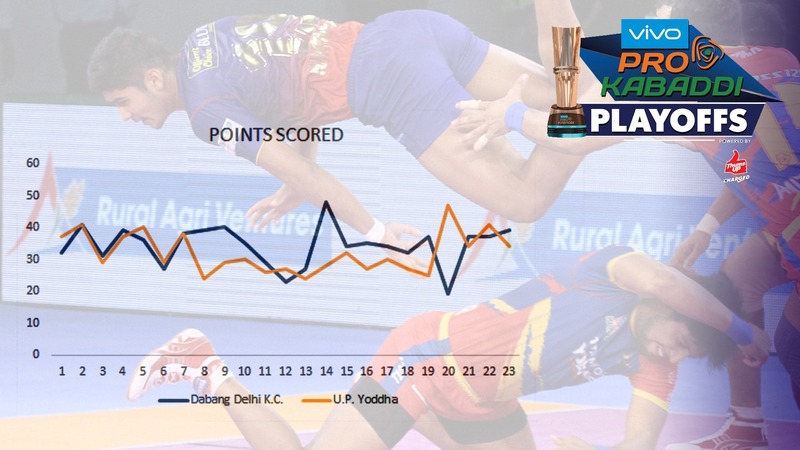 Yoddha will yet again look towards their defence to lead the way against a Dabang Delhi K.C. offence that boasts of three quality raiders in Naveen Kumar, Chandran Ranjit and Meraj Sheykh. Dabang Delhi K.C. 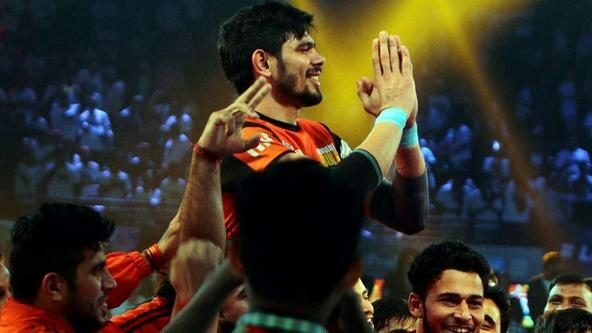 celebrated their qualification to a first ever VIVO Pro Kabaddi Playoffs with a 39-28 win over Bengal Warriors. Just like their young raiders have carried them through the season, Naveen Kumar and Chandran Ranjit starred for them, combining for 19 raid points. With all three of their veteran defenders contributing as well, Dabang Delhi K.C. look a well-oiled unit heading into the game against U.P. Yoddha. 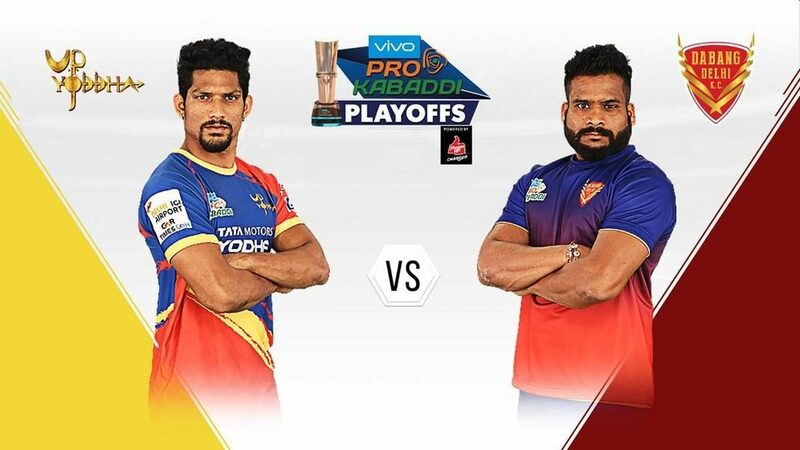 One particular battle to watch out for will be the battle between Naveen and the league’s leading defender Nitesh Kumar, as the two go head-to-head in order to get the better off the other.